In today’s world the majority of us have been touched by cancer, whether a personal struggle, a family member, friend or your beloved pup. I have personally dealt with it and also stood beside my Bernese Mountain Dog Bella as she battled lymphoma the last year of her life. And as all you Rockstar Doggy Mommas (RDMs) know it tugs at both your heartstrings and your pocketbook. But as scary as this disease may seem, there are many steps you can take to practice prevention for both you and your pup. For starters, do not neglect your own health. Every RDM always makes it to the vet on time for her dog’s annual appointment and spares no expense whenever her dog comes down with any illness. But do you do this for yourself?! Do you get annual physicals, an annual skin cancer screening, regular dental cleanings and visit your gynecologist annually? It is extremely important as we age to not neglect these critical checkups. If you catch something developing early, it is usually extremely manageable, and speaking from experience, can literally save your life. In addition, it has been estimated that as much as one-third of all cancer deaths are related to diet, lifestyle and activity factors. This is amazing news because it means you have the power to make simple lifestyle shifts, which is why I have created a free guide for both you and your dog. Our Cancer Prevention Guide focuses on maintaining a healthy weight, increasing your physical activity level, decreasing your stress level and introducing cancer-fighting foods into both you and your dog’s diet. By adopting a few of these lifestyle tweaks you and your pup will be well on your way to rocking your life and being (not to mention looking) healthy on the inside and outside. 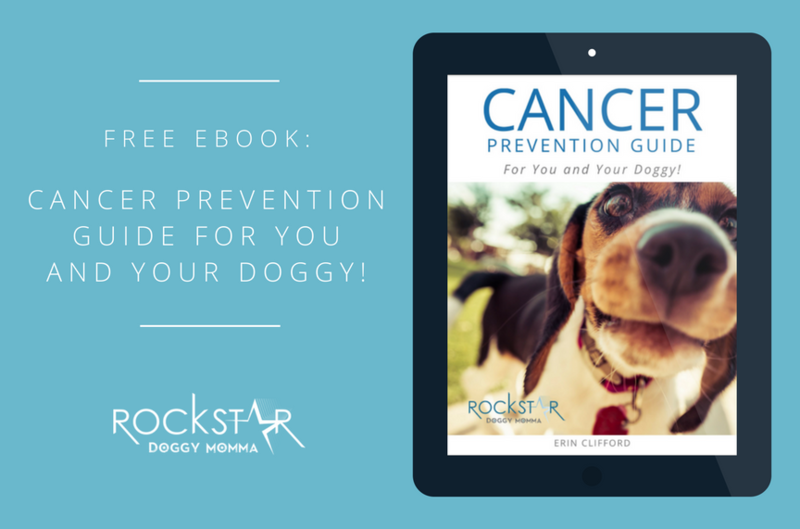 Download the free eBook, “Cancer Prevention Guide for You and Your Doggy”, by clicking here.